Last week, Bitcoin quotes did not have enough upward momentum, and then corrected to the middle of the Murrey trading range at 5000.00. 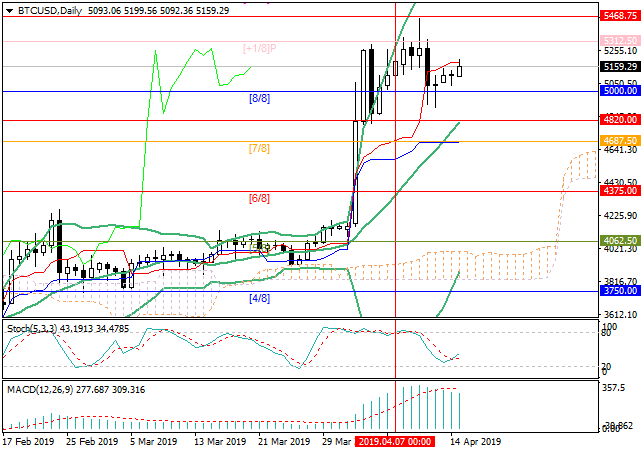 Growth has now resumed and may continue to the levels of 5312.50 (Murrey [+1/8]), 5468.75 (Murrey [6/8] H4), and 5625.00 (Murrey [+2/8]). The level of 5000.00 is seen as the key for the "bears". If the price consolidates below it, this will give the prospect of a decline to 4820.00 (the midline of Bollinger Bands) and 4687.50 (Murrey [7/8]). Technical indicators generally speak about the preservation of an uptrend: Bollinger Bands and Stochastic are directed upwards. However, MACD histogram decreases in the positive zone, indicating a reduction in the potential of the upward movement. Support levels: 5000.00, 4820.00, 4687.50. Resistance levels: 5312.50, 5468.75, 5625.00. 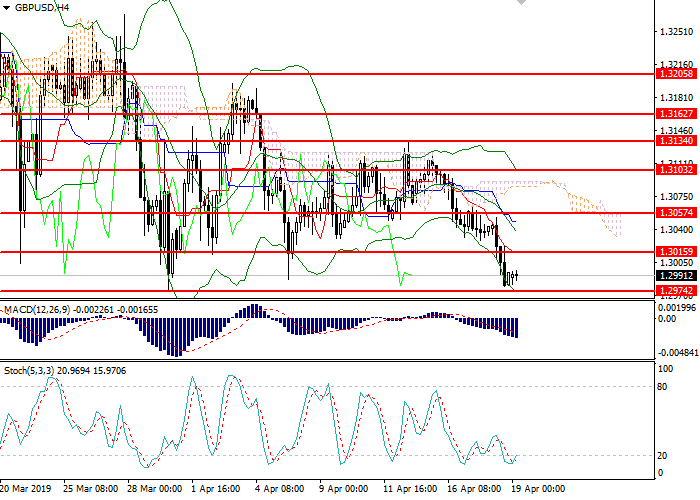 Long positions may be opened from the current level with targets at 5312.50, 5468.75, 5625.00 and stop loss 5030.00. Short positions may be opened below 5000.00 with targets at 4820.00, 4687.50 and stop loss 5150.00.